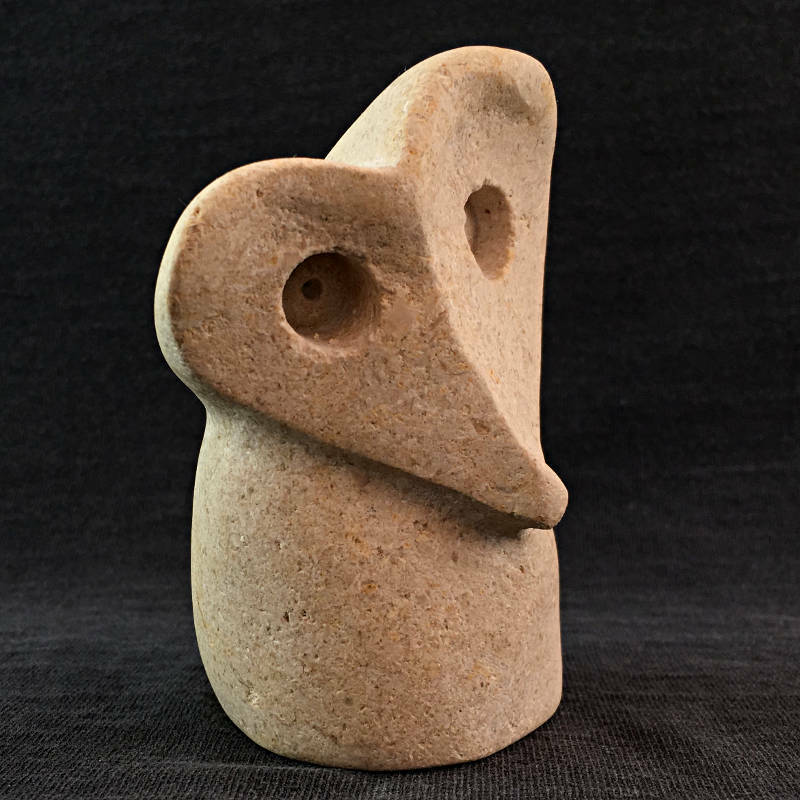 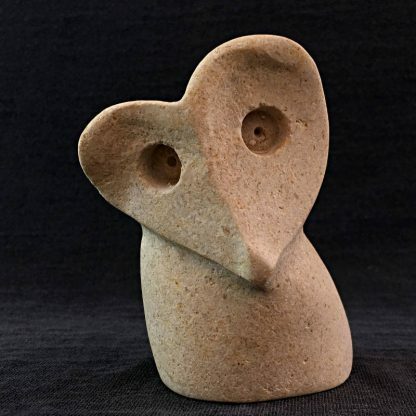 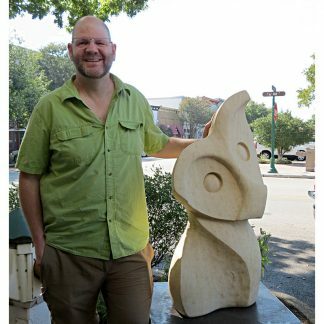 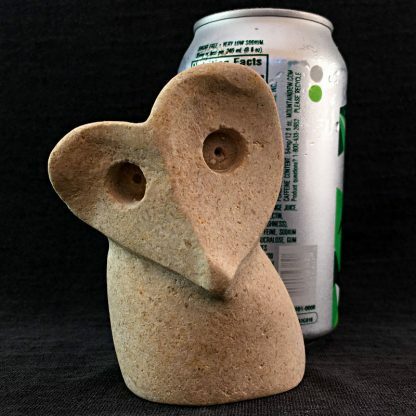 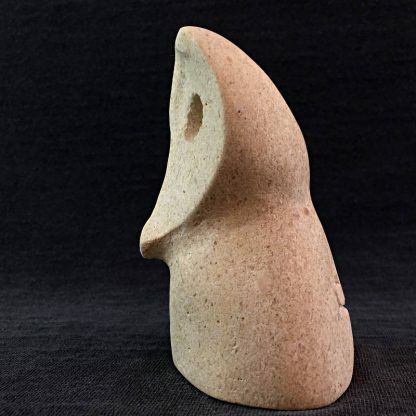 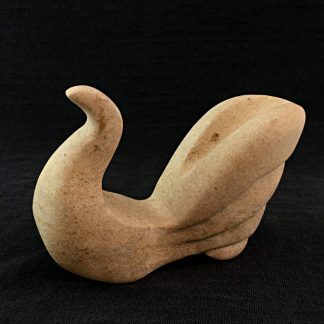 This heart-faced owl is carved from local cordova cream limestone… a very soft stone. 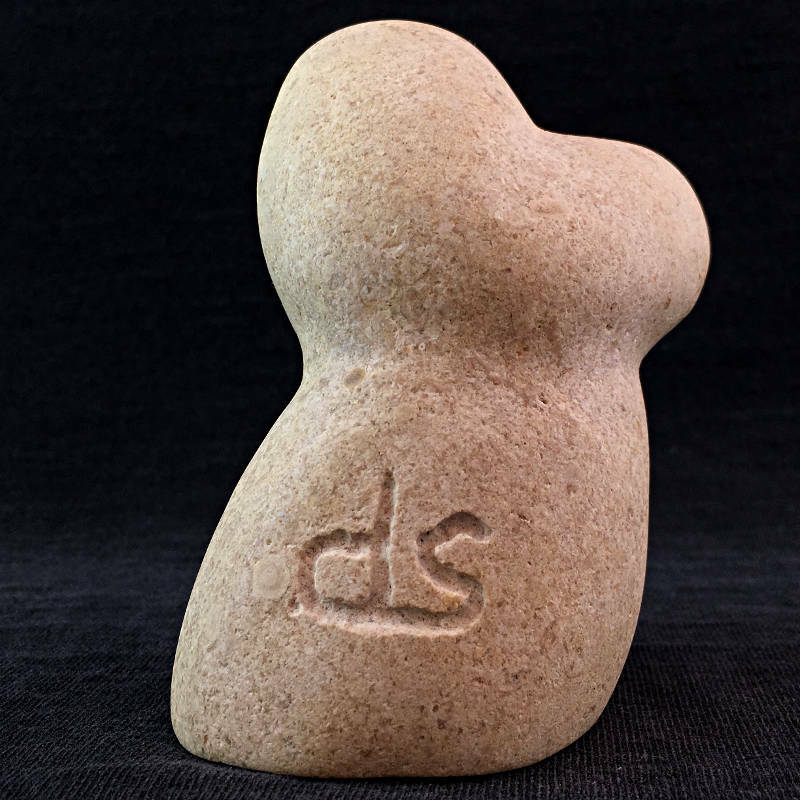 You can tell by the sloppy initials… Dave isn’t normally sloppy when it comes to his sculpture! It’s just very hard to make straight lines in soft stone– the density changes so fast from crystal to crystal. 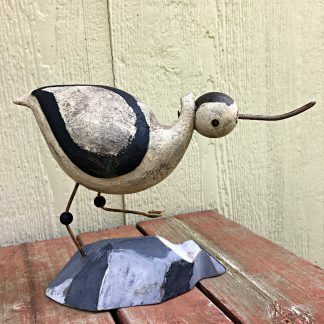 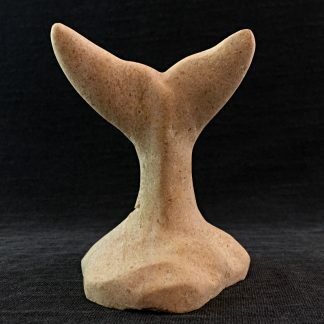 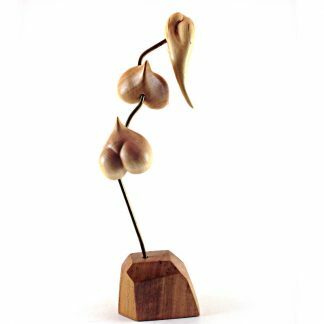 Palm-sized, measurements are approx 3″ in diameter, 3 3/4″ tall.